One of the earliest car makers in the world, Ford was founded in Dearborn, Michigan in 1903 by Henry Ford. Poised to evolve with constantly changing consumer demands, Ford offers vehicles with a variety of engine sizes, seating configurations and transmissions as well as hybrid gasoline-electric powertrains. This is a all original 1966 Ford F-100 Camper special . just a sharp looking restored classic truck. If your looking for that head turning, or trying to relive your youth this is the perfect truck!! NO RUST!!! IF your looking for that parade cruiser or just a sunday cruiser or around the lake then this is the one. 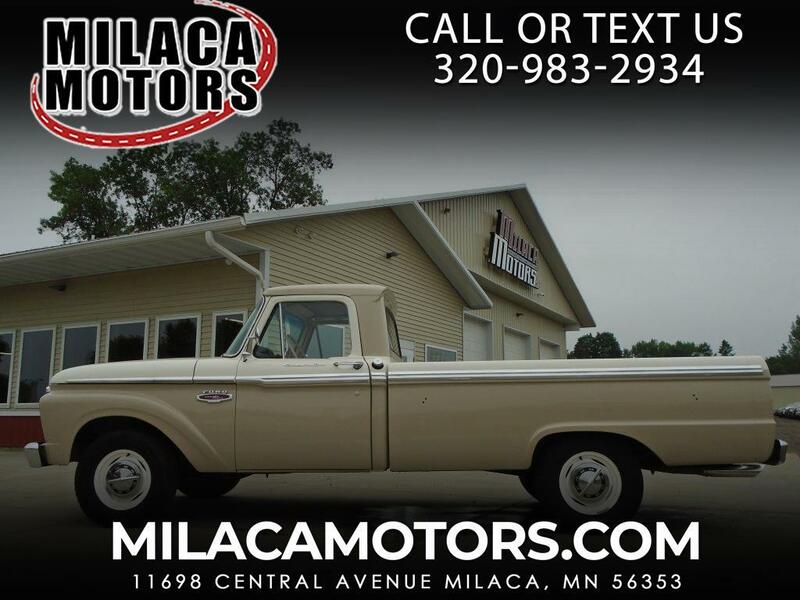 Message: Thought you might be interested in this 1966 Ford F-100.